I’m open to pretty much any opportunity, but working in HR for Disney would be a dream come true! My ultimate goal is to create a positive, lasting impact in my future employees’ careers & professional endeavors. "I chose Kristen for this co-op position because she demonstrated confidence, knowledge, ability to perform and a commitment to learn. It was important for me to find someone who would not be afraid to try new things and Kristen was not only willing to step outside of the box, but also excited to gain real-world, hands-on experience. She didn’t want to watch the work being done, she wanted to do the work and innovate the processes. As someone who spent many years recruiting and developing students, that’s the part you can’t teach. It’s what continues to drive her hard work today! The projects, guest speakers, mentoring program and student organization activities have all made an impact on Kristen's level of competency as it relates to engagement, recruitment, project management and professional development." "My HR management classes have immensely helped to prepare me when taking on this co-op and for my future career as well. Point Park’s faculty have so much industry knowledge and experience. They truly take the time to make sure you understand the material in the classroom and are prepared to work in the HR field." Tell us about your co-op with the Career Development Center. In my co-op, I work very closely with Jessica Hobson, cooperative education specialist. 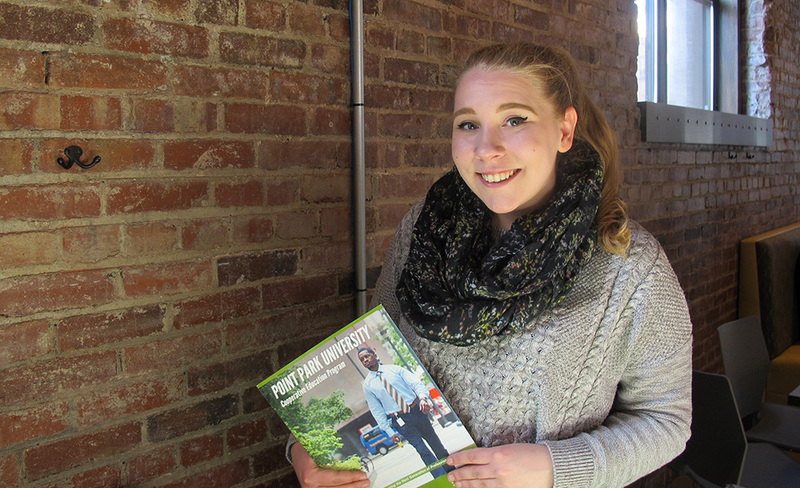 My primary job responsibilities include coordinating all cooperative education recruitment efforts for students and employers, developing targeted marketing strategies to increase program awareness and meeting individually with students to review their resumes and guide them through all of the co-op procedures. Essentially, I describe my role as “having a co-op for the co-op program”. How have your HR management classes helped you in this co-op? My HR management classes have immensely helped to prepare me when taking on this co-op and for my future career as well. Point Park’s faculty have so much industry knowledge and experience. They truly take the time to make sure you understand the material in the classroom and are prepared to work in the HR field. Professor Sandy Mervosh has been instrumental in the success of the HR program at Point Park, and she has made so many beneficial changes to the curriculum. Wayne Grim is another great HR professor. His Rules & Regulations class has really taught me to think outside of the box on certain aspects of HR. I always knew that I wanted to commute to campus, so Point Park’s convenient, Downtown Pittsburgh location was one of the biggest driving factors in my decision to come here. I also graduated high school in a relatively small school district, so Point Park’s smaller class sizes were really appealing to me as well. I knew that I didn’t want to be in one of those huge lecture halls where nobody knows each other's names. As a senior looking back on your time at Point Park, what are your favorite memories? 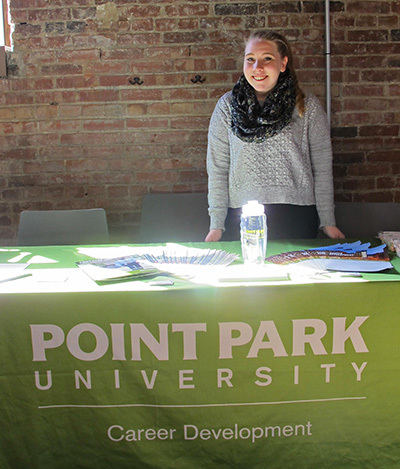 I’ve made so many great memories at Point Park over the years, whether it was stepping out of my comfort zone at professional networking events or discussing different management strategies with my best friend in our free time. However, one of the best things I decided to do at Point Park was get involved in a student organization! The Student Human Resource Association allowed me to make many new friendships and professional relationships, as well as gain relevant leadership and organizational experience. I highly recommend getting as involved on campus as you can. What are your plans after graduation this spring? After graduation this spring, I will be attending a Cultural and Academic Immersion Experience to Ireland with a few other students in the Rowland School of Business! We will be visiting Irish companies and learning about how HR operates in different areas of the world and in multi-national companies. When I return from the study abroad experience, my goal is to obtain a full-time internship or entry-level HR generalist position in Downtown Pittsburgh.